Mumbai, Aamir Khan is the leading and well known Bollywood actor, who is also known with the name of Mr Perfectionist in the film industry. He performed in various blockbuster movies but he did not attend the award ceremonies. He attended the last award ceremony 16 years before when his movie, Lagaan was nominated in the Oscar award. His movie, ‘Dangal’ was declared the best movie in the biggest film fare award but Mr Perfectionist did not participate in this award show. 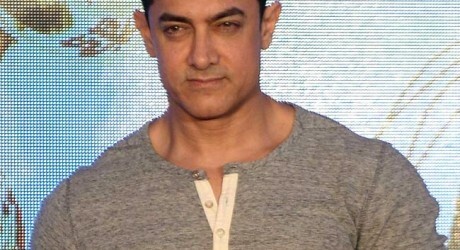 When the Indian leading singer, Lata Mangeshkar invited him in the award show associated with her father name and various leading and well known actors and singers are invited to give away the awards, Aamir Khan could not refuse her invitation and he attended the award show and he also received the ‘Master Deena Nath Mangeshkar Award’ for his movie, ‘Dangal’. Aamir Khan said that the credit of the success of his movies goes to the writers and directors, who are those people, work hard for the success of the movies. He said that people recognize him because of the hard work of these people. It is to be clear that the movie, ‘Dangal’ of Aamir Khan is nominated as the best movie for the film fare award but he said that commercial film awards do not have any importance to him.